These photographs have been provided by the Willet Family. However, there are some who they have not been able to identify. please email us if you can identify them. 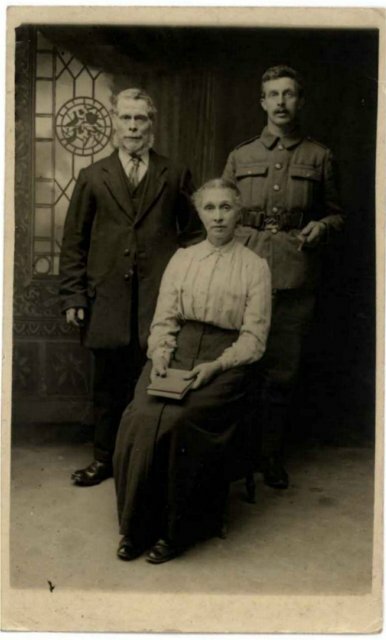 The first two pictures of Richard and Martha were taken during World War I. Richard Cleevely was visiting his grandparents. 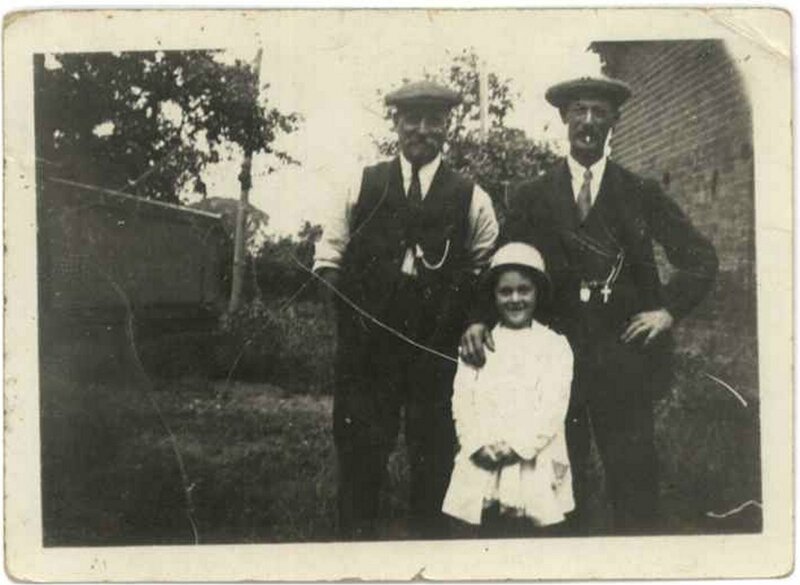 The picture is taken at Wood End Green, the other boy is not known. The younger man in the photograph is Uncle Alfred. 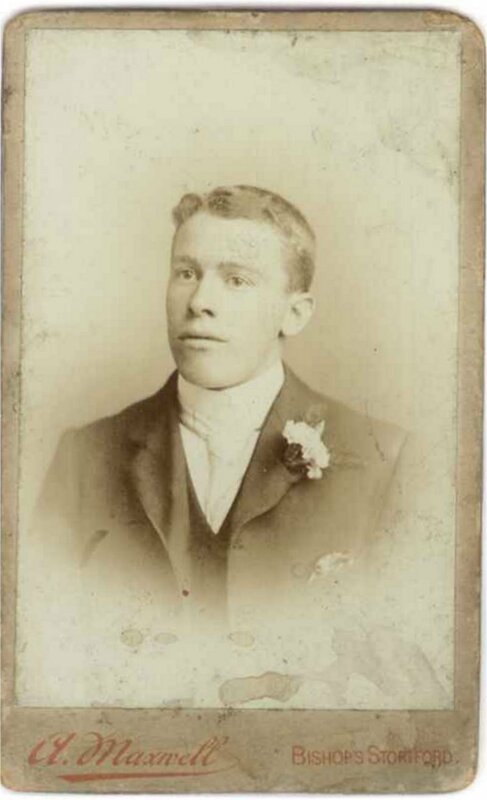 Richard also remembers Uncle Ziba probably born in February 1876. 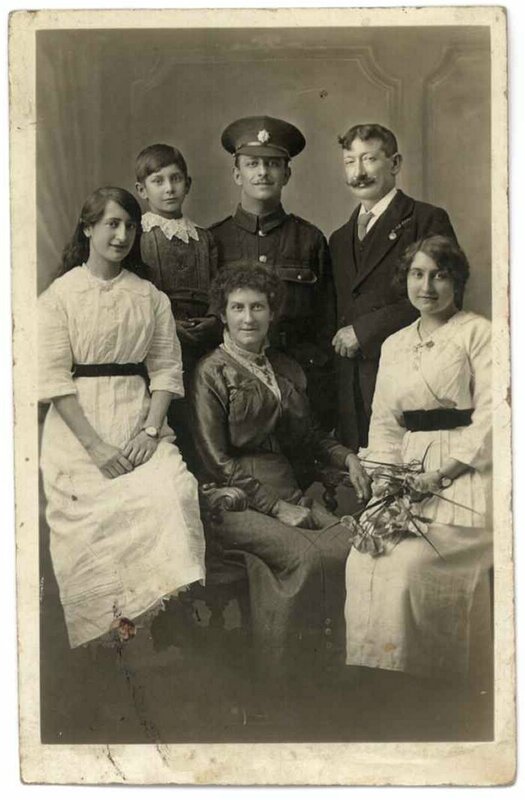 Richard’s mother Mahalia Cleevely died during a traffic accident that occured during a Zeppelin air raid at Camden, London on 7th March 1918. 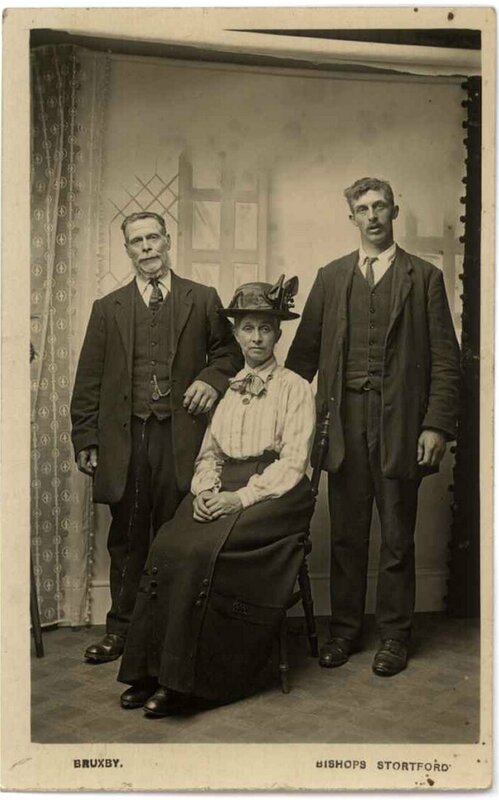 Richard was brought up by his older sisters Gladys and Florence. The family photograph above is Frederick William Cleevely; Mahalia [ = Halliar Willett] Cleevely [nee Sage] Ron’s father (with the lace collar), his two sisters Gladys Martha & Florence and his older brother Frederick Edgar in army uniform. Ron’s grandmother’s name was shortened within the family to ‘Halli’ as a shortened vesion of Mahalah’s ‘halah’; this was misunderstood by the Census enumerator & put down as ‘Halliar’. Her name has always been very difficult to record e.g. in the 1891 Census she was listed as Mehenlah Saye and was very difficult to trace. 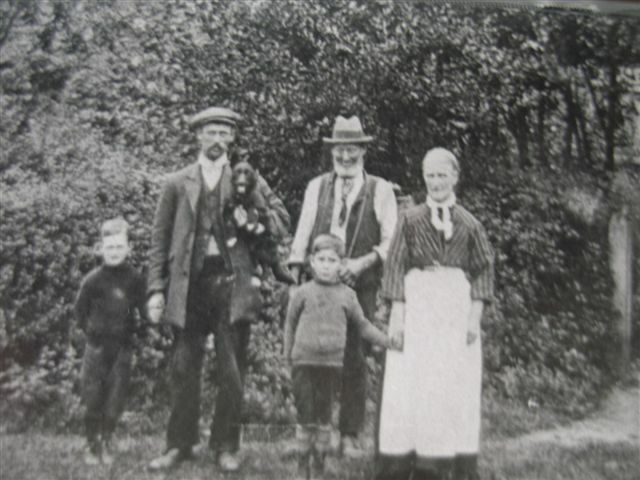 The only link with the Willett’s is that my grandmother was the daughter of Martha and that it is very possible that my own father Richard James Cleevely, might have been named after Richard Willett by Halliar’ as a result of a happy time living in his household at Henham as a young girl.